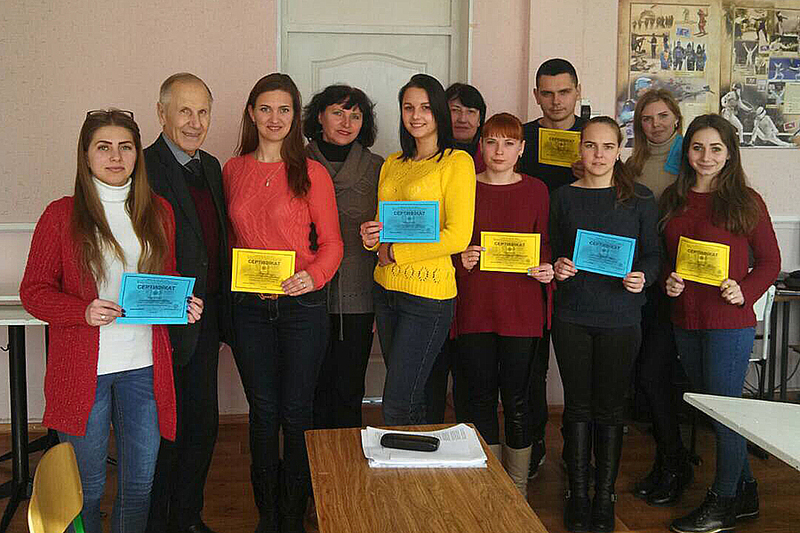 On February 27, the Department of Theory and Methods of Physical Education hosted the first round of the All-Ukrainian Student Olympiad in specialty 014.11 “Secondary Education. Physical Culture”. The slogan of the Olympiad: “Acquire new knowledge whilst thinking over the old, and you may become a teacher” (Confucius). The best 2nd-4th year students the 1st-year master students who are actively engaged in science took part in the Olympiad. The future specialists were welcomed by the Director of the Educational and Research Institute of Physical Education and Sports Yu. 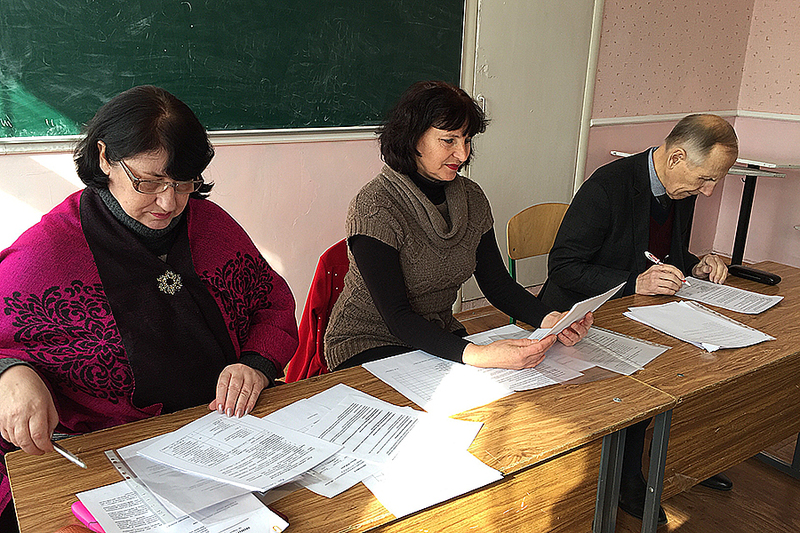 M. Polulyashchenko; the acting head of the Education Department V.V. Lesnova; the head of Department of Theory and Methods of Physical Education E.I. 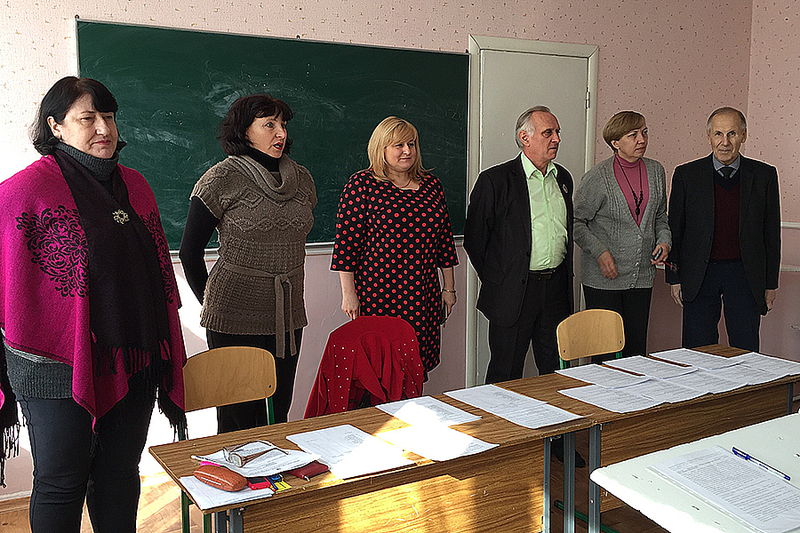 Sokolenko; Honorary Professor of the University A.F. Poltavsky; Chairman of the Jury of the Olympiad, Doctoral Candidate O.V. Otravenko. They drew attention to the importance of participation in research work as one of the components of professional training of future specialists in physical culture. Students performed theoretical and practical tasks of professional orientation, which enabled them to reveal their creative abilities. The final round was held in the form of a round table “Ways of patriotic education of schoolchildren by means of physical culture”. 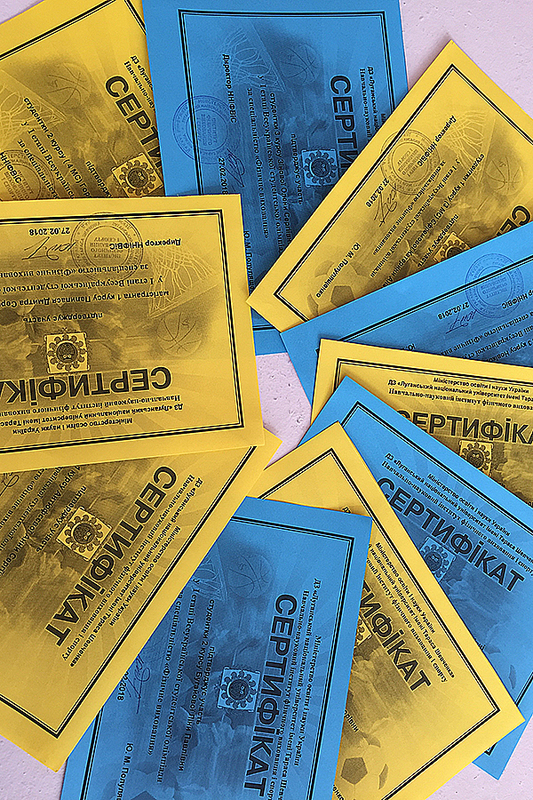 Students were awarded with certificates of the Olympiad participant. Prize-winning places were taken by Dmytro Pelipas, Valeriya Gorelova and Anna Antyufeeva, who will take part in the II stage of the All-Ukrainian Student Olympiad in Kyiv. The Directorate of the Institute and the teachers of the Department wish the participants success in research and new achievements!